Have a WordPress site? And want to keep it in top shape? Implement these steps so your website can stay healthy and perform optimally for many years to come. A website today is much more than a source of information about your company or yourself. For many, it is as valuable as real estate. It is virtual real estate that earns bread, butter & luxury for many. Maybe you are not there yet. Maybe you are still striving to get there, to generate income from your website. In any case, it is important to know how to take care of your website. You need to protect it like you protect your real estate. Only the rules and methods are different. I will acquaint you with ways that will keep your website healthy, fit and in a top share for years to come. It is absolutely compulsory to update WordPress whenever a newer version is available. Why? Because with every new update there are website security patches addressing vulnerabilities that could otherwise compromise the safety of your website. With every update, there could be new features added to the installed WordPress core that will make it easier to use. It could make your site more user-friendly and aesthetically more pleasing to the eye. Overall it could provide a better user experience for you and your users. 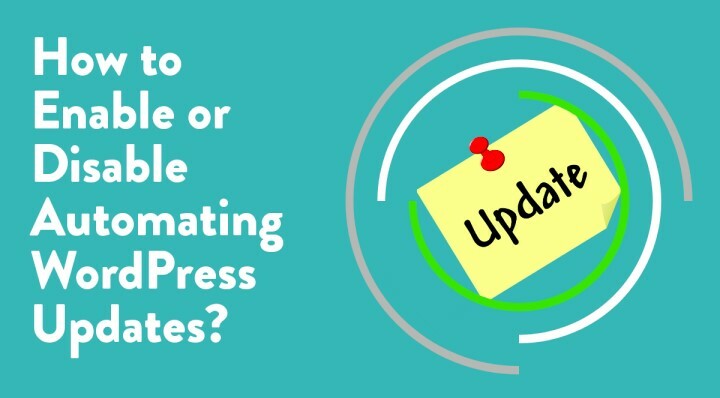 Plugins updates also help fix bugs that could provide more stability and reliability to the WordPress core. So, it is less prone to human errors, and more difficult for nontechnical users to unintentionally mess up their own site. So basically, updates help your website to stay technologically up to date. In the digital world, many things can go wrong. And the threat of viruses and hackers are real. And if your website ever happens to get hacked or infected with malware. Then you could be sure that it will stay off Google search for a long time to come. And especially with so much competition in SEO, you would never want this to happen to your site. Therefore, it is worthwhile to take the time to update your WordPress core, plugins, and themes. It is simple to update your site from within the WordPress Dashboard itself. Simply logging in will tell you if there is an update available or not. The figure next to Updates tells you the total number of available updates including Theme and Plugin. Simply clicking on “Please update now” will take you to the “WordPress Updates” page. This also gives you all the information on the Plugins & Themes that have updates available. To update WordPress, you need to simply click on the button labelled, Update now. And it will automatically update the WordPress core for you. However, it is highly recommended that you take a backup of your WordPress website before you proceed with updating your website. That said, you may want to check out if you hosting (shared or managed WordPress hosting) provider is already backing up your site. Thus, bringing us to our next WordPress website maintenance task. Yes, it is highly recommended that you take backups of your site on a regular basis. And especially before you make any significant changes to it. WordPress displays this warning on the WordPress Updates page. It goes on to demonstrate how important it is to take daily backups just in case something goes wrong and you need to revert to the original site. This is perhaps the number one step that can save your site if ever anything unforeseen happens to it. You can always revert to a fully functional backup and get your beloved site back. In case, something happens to your first backup, we suggest taking daily offsite backups. But if you didn’t take the backup. What would you do? That is scary. Isn’t it? Who needs to take a backup and how often? The simple answer is all website or business owners ought to take a backup at regular intervals. The intervals would depend on how often you make changes to your site. If yours is an informational site, you could take a backup every week perhaps! If you run an e-commerce website, you would need to take backups every day. You will want to make sure that all those transactions, sales, invoices, are all backup up at the end of the day. Those are critical data that you cannot ever risk losing. How to backup your WordPress site? Select the zipped file and then click on Download to download it onto your computer hard drive. You can close the “File Manager” once this part is over. And you should have a fully working backup of your website stored on your hard drive. Remember, a complete backup would comprise of both your website files and your website database. We have looked at how to take a manual backup. However, a plugin is much simpler to use. One of the best plugins for this purpose is the BlogVault WordPress plugin. Some of its features include: Offsite Storage, Organized backup archive, Staging, Migrating with zero downtime and more. You just need to install the plugin from your WordPress Dashboard, and you are good to go. Plugins & themes are what makes WordPress so versatile. I would add that the sheer number of plugins and themes available for WordPress makes it as popular as it is today. It is by far the most popular CMS and powers 26% of the world’s websites. And I attribute a lot of its popularity to its ease of use, how easy it is to set up & install, and maintain. The vast number of plugins available to extend its functionality makes it the number one choice for most individuals & businesses. Plugins are amazing. They can add a host of functionality to your WordPress site instantly. And installing and uninstalling them is super easy too. For example, if you needed e-commerce functionality, you would simply install the WooCommerce plugin from within your Dashboard itself. And all you need to do is simply click a button and everything is installed for you with the basic settings. Of course, you can configure the settings to your needs later. However, with the WooCommerce plugin installed you have a fully-fledged e-commerce site ready. You can start uploading your products, configure your preferred payment gateway, and you are all set to sell online. It is that easy. There are thousands of plugins for WordPress. And they are just as easy to install, configure and use. The same is also true about the vast number of WordPress themes that are available online to choose from. Themes alter the look of the site. It is like getting a new design for your website. WordPress also comes preinstalled with a few default themes of its own. With so many plugins and themes available online for free, it is easy to go overboard and install too many of them on your site. Many times, we forget to uninstall unnecessary plugins, even though we are not using them. Such plugins add to the bulk of the code and can slow down the site considerably. We should also make sure that the plugins we are using are being constantly updated by the plugin author. If the plugin is not actively maintained, then that plugin would put your site at risk by running outdated code. It is better in such a case to look for an alternative plugin that does that same thing and use that plugin instead. The same stands true for themes. It is better to keep only the theme that you are using and delete the unnecessary ones. A lean site would perform a lot better than a cluttered-up site with unnecessary themes & plugins. This is way too often overlooked. We do invest in good antivirus for our desktops and computers. But don’t give it much thought when it comes to online security for our multiple websites. We don’t consider it important. We must understand that hackers are always on the lookout for ways to hack or steal sensitive data from your website. If they gain access to your site, they can practically render your site useless. It could be months or even years to get back to where your site was prior to the attack. Imagine taking down your site temporarily. Putting all your effort and resources in detecting and removing malware and/or the injected malicious code. And if search engines like Google have blacklisted you, Chrome would be showing a malware warning for your site. And it could take months for the warning to go away once your site has been restored. Imagine the loss of reputation and revenue due to such an unforeseen incident. I believe in the old saying, prevention is better than cure. Therefore, I always recommend a good security plugin that will help harden the security of your WordPress site. And protect it for Malware & Bots even when you sleep. One such plugin that you can use is MalCare. It offers excellent WordPress support and maintenance. Security plugins tend to slow down your site. MalCare says it would not overload your server. It scans your site for Malware, provides login protection and a web application firewall to protect your site continuously against online threats. Also, It has a security monitoring system called uptime monitoring in place. MalCare will detect hard to find Malware and provide a one-click automatic malware removal service. An indispensable step among your WordPress security & maintenance plans that you just should not overlook. When your website is brand new, the WordPress database is lean and works optimally. Your website responds quicker and loads faster With time the database gets cluttered and somewhat clogged up. How does it happen? It happens when you install a plugin or a new theme. Because it writes all those new information into the database. This also happens when you remove an unused plugin or a theme. Sometimes, they do not get deleted as efficiently as you would want them to. Leaving behind tables, references and other data that starts to clutter up the database. This would also happen when you add content, pages, posts, images, videos to the website. Because all this information gets written into the database. With time the database gets clogged up with a lot of unnecessary junk files, tables, and data from deleted plugins, themes, saved drafts, pages & blog post. Therefore, these unnecessary junks should be removed from the database so that it continues to perform optimally for a long time to come. There is no inbuilt tool in WordPress that does this. But there are some good plugins out there that can help us optimize the database for us. Plugins like WP-Optimize can help keep your website database fast & efficient. It can optimize your database by performing these critical functions that remove unnecessary data, compact / defragment tables, automatic weekly clean-ups, perform optimizations without manual query etc. You don’t need to be among WordPress experts to use this tool. It is simple and easy to use for everyone. This step is perhaps not critical to your website’s survival. But it has more to do with upkeep and maintaining a positive image than anything else. If you do not manage the comments on your website, it will leave a bad impression on your visitors. They will get the feeling that the site is neglected and not taken care of. If it is not important to the owner, how can it be important to anyone else? You don’t want to give that impression to your visitors. You will need to spend some time in the upkeep of your site. Properly responding to comments in a timely manner is a big step towards it. It shows that you respect your visitor’s time when you respond to their query, concern or their point of view. It engages & encourages other visitors to voice their opinion too and subsequently increases the engagement on your posts. Another important aspect of comment moderation is filtering out spam comments. And trust me, you will get a lot of them. It is important that they are marked as spam and subsequently deleted. There is nothing more unsightly than the comments section filled with spam. Moreover, too many spam comments can build up quickly if unchecked. And thus, clutter up the database space affecting website performance negatively. As we pointed out in our “WordPress Maintenance tasks number 5” above, where we discussed database optimization. However, it is important to see that you do not mark a legitimate comment as spam by accident. You always run the risk if you try to delete all spam comments in bulk. Therefore, it is always a better idea to allocate adequate time to comment moderation. This step is all about making your visitors comfortable using your website. To make it user-friendly and accessible so that your visitors have a pleasant time browsing it. Otherwise, they may just get frustrated and leave. Though there are many factors that can go into improving the user-friendliness of a site, we will briefly touch upon a few for this article. Part of a good WP maintenance strategy should include maintaining the links on your site. These would include both the internal and external links. Internal links would be when you link to other parts of your site. And external links would be when you link to other sites on the internet, i.e. pages that are not part of your own site. It can be quite frustrating when you click on a link, and it goes to a 404-error page, i.e. a Page Not Found error. It also shows a lack of effort or interest in maintaining the site. You can use a plugin that would automate this task for you. Broken Link Checker is one such plugin that will check all broken links and images on your site for you. However, these types of plugins can be quite resourced intensive and can slow down your site. To get around this issue, you can only activate it when you want it to check the links for you. At other times, you can keep the plugin deactivated. One thing that people lack in abundance is patience. Therefore, the more time your site takes to load the more likely people will abandon your site, as this Google study confirms. Website speed is also a ranking factor. Therefore, the faster your site loads, the better the chances of it ranking higher. So, to provide your users with better WordPress user experience, you should consider making sure that your site has a good loading speed. Website speed optimization is important. Use a good Caching plugin like W3 Total Cache that can significantly enhance the performance of your site. Also, consider using GZIP compression at the server level if it is available to you. You should check from time to time to make sure that your site is loading at an optimum speed. It should be a part of your website maintenance program. This is more important than you can imagine. Today more people are accessing the internet on mobiles than they do on PCs and laptops. Still, a lot of sites today are designed only for the desktop, which is not a good business strategy to have, considering so many of your users are on mobiles. Mobile friendly is also a Google ranking factor. So, it is a must if you want to rank better with your site. Responsive Web Design can be used to create websites that display optimally on both desktops and mobile devices. You don’t need different websites for different platforms. You can check whether your website is mobile friendly or not, using Google’s Mobile-Friendly Test. Simply enter your website URL and hit the “Run Test” button. And Google will tell you whether your site is mobile friendly or not. This should also be a part of your regular maintenance program. Ensure that your site is mobile friendly always. WordPress is very versatile and takes the pain out of maintaining your site in the long run. For example, as we have seen above, updating WordPress core is as easy as clicking a button. Taking backups can be made easy with the help of plugins. Installing and uninstalling a plugin itself is super easy. However, you will need to put in a conscious effort and know the steps that are critical and must be done. If you follow the above website maintenance tips outlined in the article, you can be confident that your site will remain in optimum health for a long time to come. And it will save you from potential disasters that could cost you a lot of money and time. 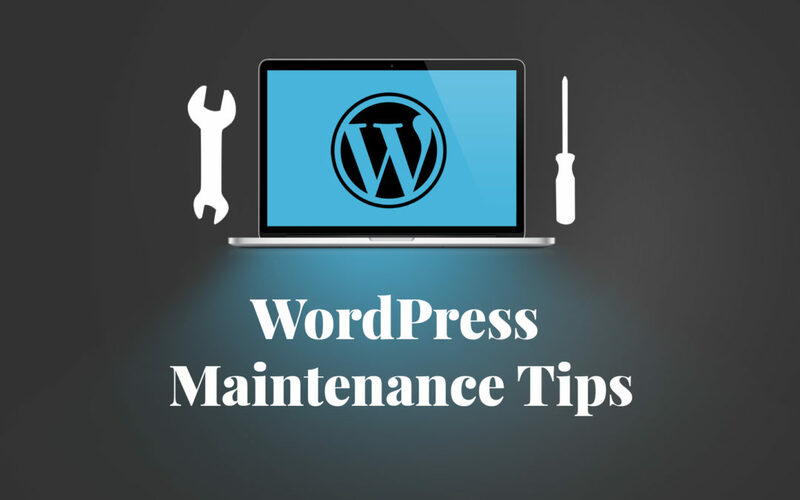 Set aside a few hours every week and get your WP maintenance mode. What did you think of the article? Have I missed anything out that I should have added above? Let me know. For more WordPress tutorials like this one, check out our blog. Amrit Ray takes care of marketing at Raydez & Ray Creations, a web design company working with global clients. He is also a singer/songwriter. So, when he is not writing articles, he is probably working on a new song! He tries his best balancing both his passions giving adequate time to both. Follow him on LinkedIn | Twitter.